It took two trips to Scalloway to nail this rather special little Phyllo. 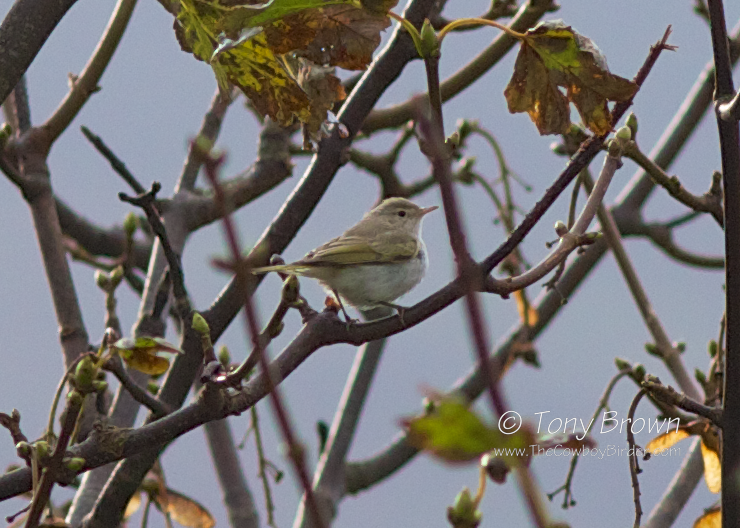 The first attempt was a little half-hearted as the our crew had all seen Western Bonelli's Warbler before. 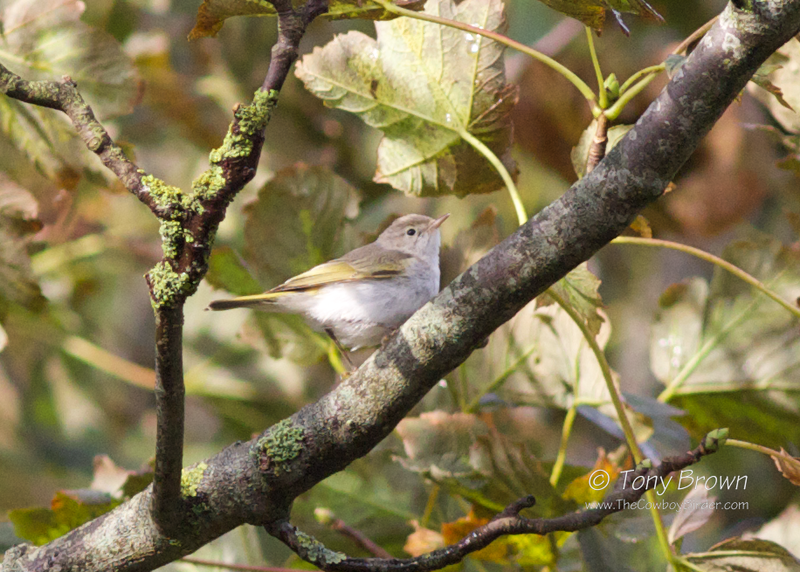 After a couple hours searching the mature Sycamores and gardens we did finally manage the briefest of flight views, content this was another bird added to the growing trip list we moved on, but things changed once news broke that the bird had been heard calling confirming this an Eastern Bonelli's Warbler! The flight views were not going to be good enough and we were back on site the following morning for another attempt. Stopping on route at Wester Quarrf to search for yet another Little Bunting (one of many we dipped, strung, and eventually saw that week) we stumbled across an Olive-backed Pipit in the same crop field, a great find for our four man crew and thoroughly deserved after all the miles, slog and hours we'd been putting in. Back at Scalloway our initial search drew a blank but as more and more birders arrived on site, eventually the bird was located and prolonged and good views were had by all, although during this time the bird didn't call for us. I'm happy to pencil this one in as a tick and await confirmation in the coming months from the BBRC - but all the signs are looking good that this is going to be Britain's 7th record.